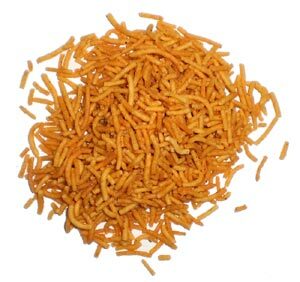 Bhujia is spicy fried short noodle shaped Indian snack made from gram flour and lentil flour. Aloo Bhujia also has potatoes (called aloo) along these ingredients. Also spelled as Alu Bhujia.